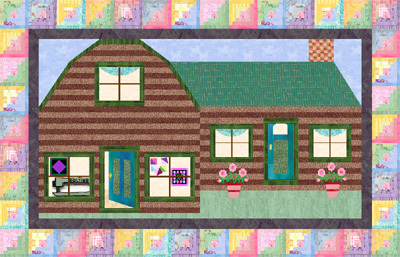 Check out this YouTube video sent to me by my friend Karen over at The Quilt Rambler. It's of George Trippon, a longtime Hollywood tailor who had a PBS sewing show back in the '70's. He passed away on this past New Year's Day. I only wish I'd gotten to see his show when it was on. What a card. Oh. And my new motto as a professional longarm quilter is going to be, "You give 'em what they pay for, Honey!" at 7:49 PM 2 Brilliant Observations!